In 2017, when politics, social media, television, and modern day activism have combined to hijack the once untouchable bastion known as the National Football League, there is one player left to have their say. It’s the player that yields the most power in the long term: The Almighty Dollar. As recently as a year ago, Papa John’s commercials starring Peyton Manning, J.J. Watt, and Joe Montana were airing every few minutes. Those are three of the greatest players in the history of the universe. A year later, Papa John’s is bailing on the NFL amid a personal loss of $70 million by the Papa John’s founder, John Schnatter. NFL ratings are plummeting. ESPN will no longer be able to afford broadcasting Monday Night Football. Ratings were down in every single time category this past week, and have been dropping since 2015. All of the above have been the mainstays for years. Fans have continuously been willing to pay a little more every year to watch and support their teams. It’s inflation. Everyone expects it. However, the bubble is finally appearing to burst, slowly but surely, with the Goliath once known as the NFL. Fans will pay for entertainment. They will pay for hope. They will pay for camaraderie. They will pay for pride. They will not pay to be called ignorant after they have thrown their collective heart and money into a team for decades, only to be priced out from going to games. The peasants as a whole have the power. The money is starting to dry up from the once “Too Big To Fail” NFL. Major advertisers are bailing. ESPN is dying from paying too much money to air NFL games. Stadiums are emptier each week. Papa John’s can’t bail fast enough. Other major companies will follow. Ratings are down each week. Jerry Jones is pushing for Roger Goodell’s ouster because the money is drying up. The NFL owners are panicking. They know their golden goose has flown off, and they’re going to make every damned attempt to save face. Eventually, this will make the games cheaper. TV subscriptions will drop. Joe Blow won’t be fleeced as much as he has in the past 30 years to catch a game with the hometown team. Aaron Rodgers will retire and the vast majority of the millennial fanbase will bail. Ticket prices will keep plummeting. And they should. The market eventually evens itself out. This entry was posted in Packers 2017-2018 Season, Uncategorized and tagged Colin Kapernick, Green Bay Packers, J. J. Watt, Monday NIght Football, NFL, Packers, Papa John's, Peyton Manning, roger goodell. Bookmark the permalink. When the trough dries up and the money isn’t there anymore is when these well educated individuals finally figure out to respect their fans, who respect their country. I wouldn’t be so quick to make rationalizations which is what these are. Let’s face it, the NFL is the only game in town. Baseball is boring and too many games. The NBA is too predictable, and the other sports have no national appeal. It’s going through a rough time currently, but will bounce back. Advertisers bailing, consumer discontent and a worsening product are usually more than rationalizations. Some of the other items are rationalizations, but not those. Add on the declining numbers at the youth level and more evidence of brain trauma coming out, and it’s not outrageous to suggest the NFL has passed its peak. TV Ratings are a metric of the past. People are digesting media in many ways that aren’t always instantly measurable. For instance, when the Packers aren’t playing on Sunday I watch games on NFL Redzone. That shows up as ratings for Redzone, but it looks like the ratings are down for individual games I would normally be tuning into on Fox/CBS. Nielsen ratings are a dated metric, but certainly still a bellwether. Red Zone has been around for years, so that isn’t suddenly stealing away that many viewers in it’s 9th year of existence. But there’s Amazon Prime, tv streaming, etc. too. Papa Johns was losing money well before the Anthem protests. He’s using this publicity to drive up business with Trump voters. 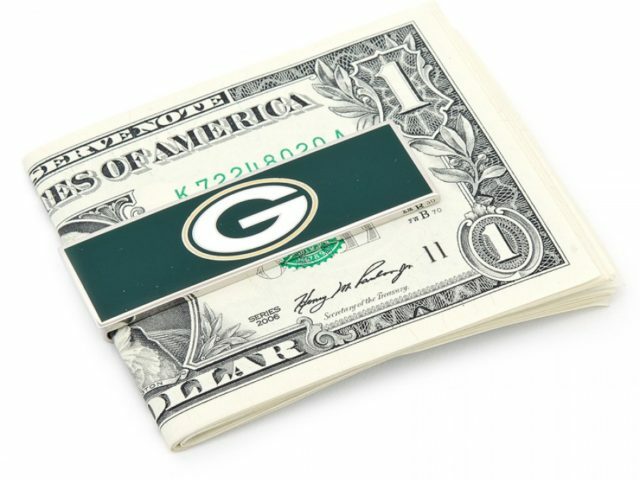 Why would the Packers ever lower prices? They have two full season ticket holder lists (green and gold) and a waiting list just as long. Supply and demand dictates that prices will probably continue to trend upwards. Drumming up business with “Trump Voters” is good business if it brings in money. I will go out on a limb and guess some non-Trump voters eat Papa John’s. In fact, most stadiums are probably going to be majority Trump voters. If that wasn’t the case, the Shield wouldn’t be losing money like they are now. Nobody said the Packers should lower ticket prices. Their waiting list is long but, will shrink due to the the multitude of reasons cited, along with the inevitable bandwagon breakdown once #12 is done. So, Papa Johns is fine financially, but they have to bail on NFL ads because they aren’t fine financially? And “nobody said the Packers should lower ticket prices”, but you wrote an article about it? 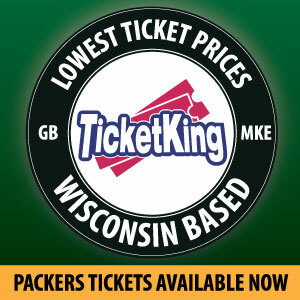 The article didn’t say the Packers should arbitrarily lower ticket prices. It said the market would lower ticket prices, as it should, per the multitude of reasons cited as to why a product inevitably decreases in value. I totally disagree about ticket prices. The Packers have 60,000 people begging to buy season tickets. Even if they go through a tough stretch there’s no way people turn in their season tickets. 60,000 for now. How does that get lower? The evidence suggests the current trends and the inevitable ending of three plus decades of HOF quarterback talent…Plus CTE evidence, plus lower youth numbers, plus advertisers leaving, plus political toxicity, plus lower quality on-field product…the evidence doesn’t lie. This is an excellent, honest article. When solvng any math issue (like plummeting viewership, ticket sales, and merchandise sales), one must look for the variable–in other words, what changed to produce the sudden dropoff? Answer: While all the other factors (ie. prices of tickets, parking, and beer) rose at consistent rates, NFL numbers still flourished. But everything imploded when players chose to kneel in opposition and raise racial power fists during an anthem designed to unite Americans. That was the variable. That is what changed. Basically branding half the viewing public (Trump voters) as heartless bigots needing an enlightened lecture, the players demanded free speech WITHOUT free market consequences–the power of royalty. It didn’t work, and the numbers show it. And here’s the greatest irony: The NFL’s collapsing sales are happening during a broad economic boom. 2017 will be the first year in a decade to hit 3% growth. Hiring is way up. Food stamp usage has plummeted. Housing sales have rebounded in a big way. The stock market is soaring, and this time without Quantitative Easing to spur it. How could the NFL suffer during such a boom? Look for the variable–player protests. Appreciate the reading. Those who find the facts inconvenient typically turn to an elementary “Trump Voters” argument. It’s so tiring and intellectually lazy. Agreed. It’s just market economics–you don’t offend half your audience, regardless of which half or why. Just sell your product, and leave the preaching to pulpits. The NFL forgot that and is paying a steep, steep price. Fans don’t have the money they once did. The product is not as good as it once was. Injuries have reduced many teams to mere shadows of themselves. Once a “star” goes down, teams flounder. Why would I spend my money to help a billionaire get richer? Billionaire are using these young men for profit and discarding them like gum wrappers when they are used up. Jerry Jones is a Trump clone who wants his way no matter where it leads.